Kateigaho’s motto is “enjoy beauty” and it celebrates that motto with gusto. Kateigaho’s high quality photography is much admired, as are its articles about the better things of Japan. It is very much a magazine for the affluent life: some 60% of its readers have an annual income of over 15 million yen, more than 6% actually earns over 30 million yen. 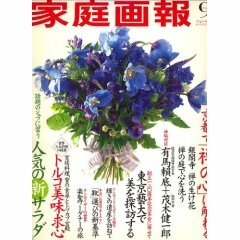 Kateigaho has a circulation of 300,000 and is published by Sekai Bunka Publishing which also publishes Kimono Salon, Kateigaho International, MISS, GRACE, MEN’S EX, Begin, GRACEFUL Wedding and other magazines.